Cassidy Janson takes to the West End stage again in the timeless classic ‘Chess’ showing at the London Coliseum from Thursday 26 April. 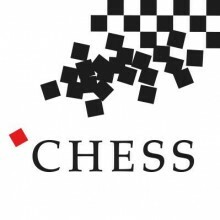 The first West End production of Chess since 1986 starring Michael Ball, Alexandra Burke, Tim Howar, Cassidy Janson and Cedric Neal. This epic musical love story, will open at the London Coliseum on Thursday 26 April for a strictly limited five week season. Cassidy is playing the role of Florence Vassy. Featuring English National Opera’s award-winning Orchestra and Chorus, conducted by John Rigby with choreography by Stephen Mear. This new West End production will be directed by Laurence Connor, whose recent credits include School of Rock and Miss Saigon on Broadway and in the West End, Les Misérables on Broadway, and the international Jesus Christ Superstar arena tour.